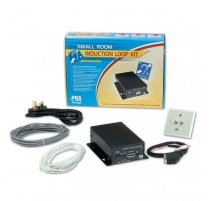 Everything you need to create a high quality hearing loop system for a room up to 50m2 (7m x 7m). 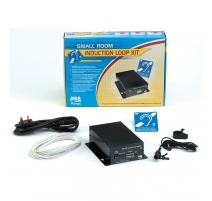 Ideal for small meeting rooms, council chambers, doctors' surgeries, etc. 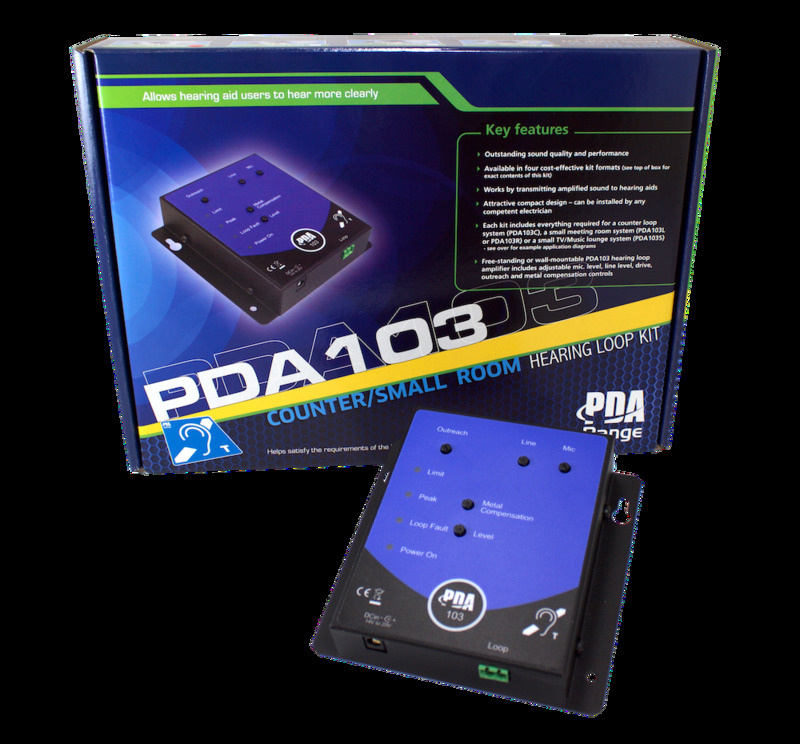 PDA103 amplifier includes a 3.5mm microphone input (for connecting the tie/desk mic. supplied), a line level input and an 'outreach' socket. Designed to be wall-mounted using the keyholes provided. 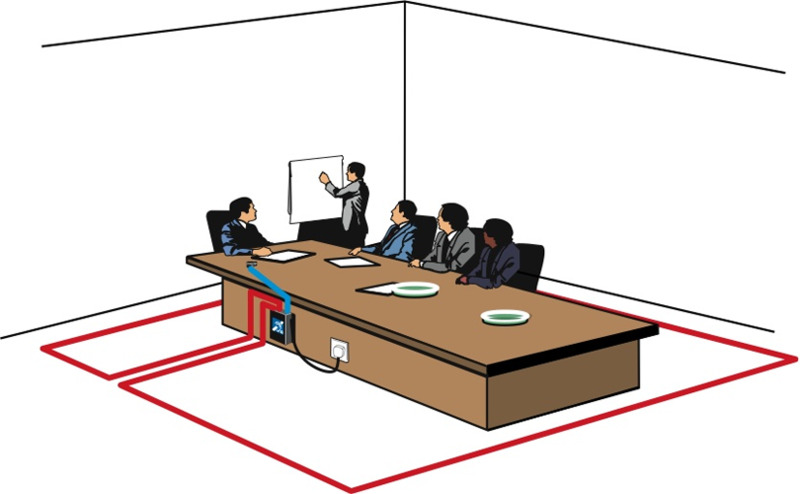 Exceeds the requirements of BS7594 and EN60118-4 when correctly installed. Type Wall mountable. Plugtop mains lead supplied. Mains supply Plugtop mains lead supplied. Rated supply voltage: 110 to 240Va.c. 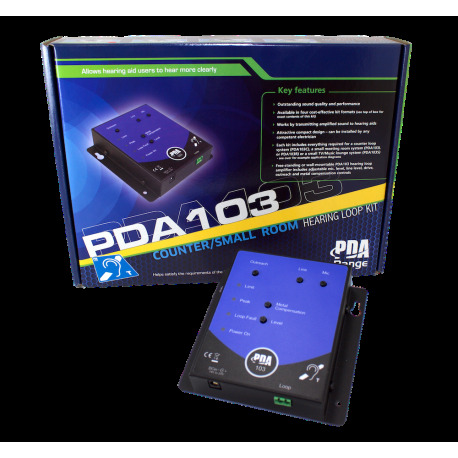 @ 50/60Hz; Rated power consumption: 18W PSU. 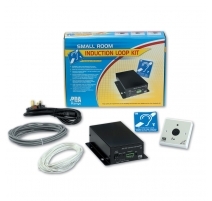 Auxiliary inputs 1 x 3.5mm remote mic. socket; 1 x 3.5mm line level socket; 1 x Outreach socket. Indicators Limit; Peak; Loop Fault; Power On. 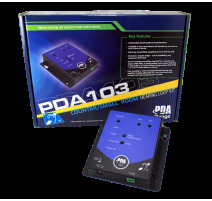 Controls Mic; Line; Outreach; Metal Compensation (all individually adjustable) and Loop Drive (Level). 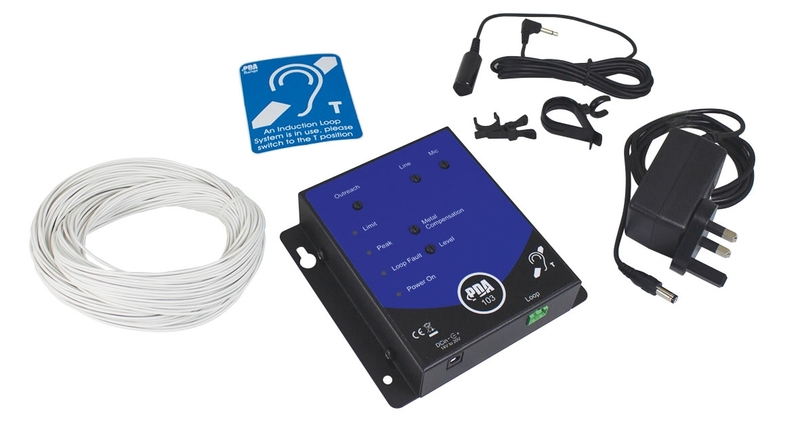 Connections Mic (3.5mm mono jack socket); Line (3.5mm stereo jack socket); Outreach (4-way pluggable screw terminal; DC in; Loop (2-way pluggable screw terminal). Product dimensions (mm) W 135 x H 130 x D 35mm (amplifier only); W 340 x H 250 x D 73mm (kit box). Weight 380g (amplifier only). 1.15kg (kit box and contents). 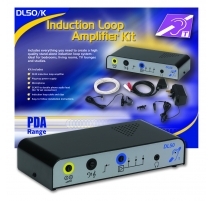 Kit contents PDA103 amplifier; PL1/PSU1 plugtop power supply; AMT microphone; 40m loop cable; ‘Hearing Loop Fitted’ sticker. Amplifier dimensions: 135 W x 130 H x 35 D mm. Designed to be wall mounted using the keyholes provided.